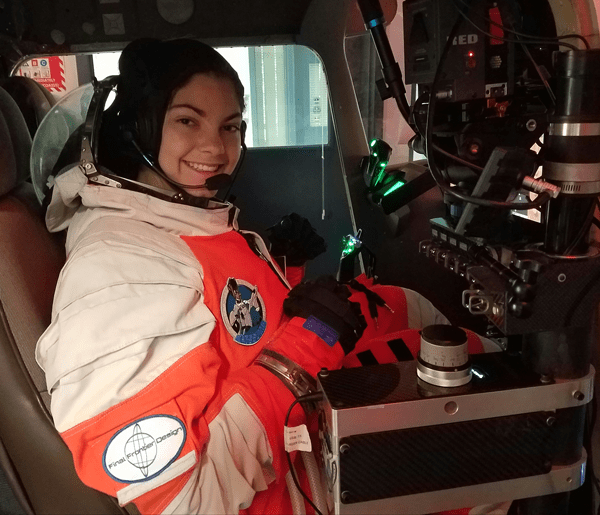 A 17-year-old American student is using her IB education to fulfill her dreams of visiting the red planet. 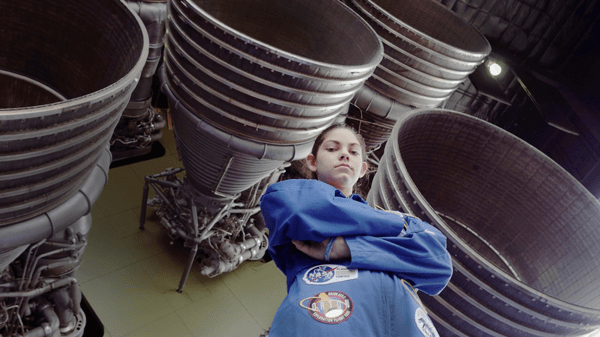 Alyssa Carson is determined to be on the first human mission to Mars. 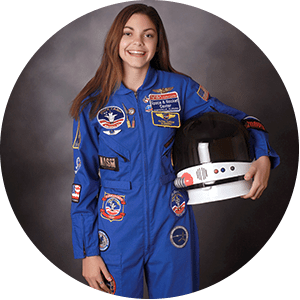 This IB student from Louisiana, USA, may only be 17 years old but, should Mars space flights become a reality in the 2030s, she’s convinced she’ll be one of the very first human beings to step foot on the red planet. Much of her life is devoted to becoming an astronaut. As a youngster she attended NASA space camps and space shuttle launches. This summer she is training to be an aeroplane pilot. In her spare time she follows a course at an astronaut and space scientist academy in Florida which involves spacesuit testing, emergency aircraft egress and sea survival, and most exciting of all, zero gravity flights. On her particular flight she experienced zero gravity on 11 occasions for around 20 seconds each time. Not many 17-year-olds can boast about that. Her school studies, meanwhile—at Baton Rouge International School—are all targeted towards a future university degree in astrobiology. As soon as she reaches the minimum age of 18 next year, she plans to apply for NASA’s astronaut selection programme. Alyssa says her IB education is helping her enormously in her vocational goal. She is currently following a Diploma Programme (DP) and, before that, she completed a Middle Years Programme (MYP). “All the IB projects I have give me the encouragement to do other space-themed projects I want to do,” she says. For her extended essay, for example, her plan is to choose a Mars-themed subject. One idea is to attempt to grow bacteria under Mars-like conditions. As part of her physics higher level studies, she wants to examine the luminosity of stars. Her other higher level subjects are maths and biology. The IB programme is, she believes, perfect preparation for the transition to university. There’s an undergraduate course in astrobiology on offer at a college in Florida which she has her eyes on. Alyssa says the international nature of her IB studies is giving her a well-rounded and global outlook which would be invaluable on any future Mars mission. Since kindergarten level she has been studying French, Spanish and Chinese, and is now fluent in all three foreign languages. Alyssa was just three years old when she first fell in love with the idea of space travel. Inspired by a storyline in the children’s cartoon, The Backyardigans, she decided there and then that she wanted to be an astronaut. Three years later, a visit with her father Bert Carson to the US Space and Rocket Center in Alabama sealed the deal on her future career. 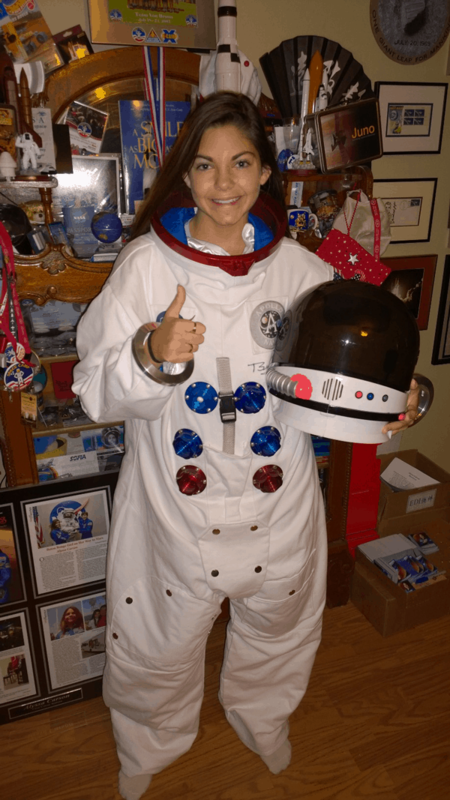 In the spare room at the Carson family home in Baton Rouge, Alyssa has created a shrine to her life’s work, featuring all sorts of paraphernalia connected to astronomy and astronautics. In there are books, magazines, photographs, and astronaut signatures and mission patches. There’s even a replica spacesuit signed by Buzz Aldrin, the second man to walk on the surface of the Moon. Interestingly, back in the late 1960s and early 1970s, the 12 Apollo astronauts who walked on the moon were all only children or eldest siblings. And guess what? Alyssa herself is an only child. Flying millions of miles from Earth to Mars will be testing, even for the most experienced astronauts. During the months-long mission there will be cosmic radiation to deal with. Long-term weightlessness will take its toll on the human body in many ways. And no one knows the full extent of the psychological risks. Alyssa doesn’t seem daunted in the slightest, though. In fact, she relishes the challenge. Even if, as some experts suggest, the mission ends up being one-way. Various agencies, including NASA, SpacEx, the European Space Agency, the Chinese and the Russians, are planning manned missions within the next few decades. The financial costs will obviously be enormous. Some missions plan to bring their astronauts home while others expect them to colonise the planet, and remain there for the rest of their lives. One reason Alyssa would push for a return ticket is so that she can encourage other aspiring astronauts after her. Watch a new film about IB Alum and astronaut Akihiko Hoshide. This story is part of our 50th anniversary celebrations in 2018. Contact us by email about someone you think we should contact for a story.